In 2013, Monolord first emerged from their native Gothenburg, Sweden behind an impenetrable wall of distortion and spell-binding vocals. 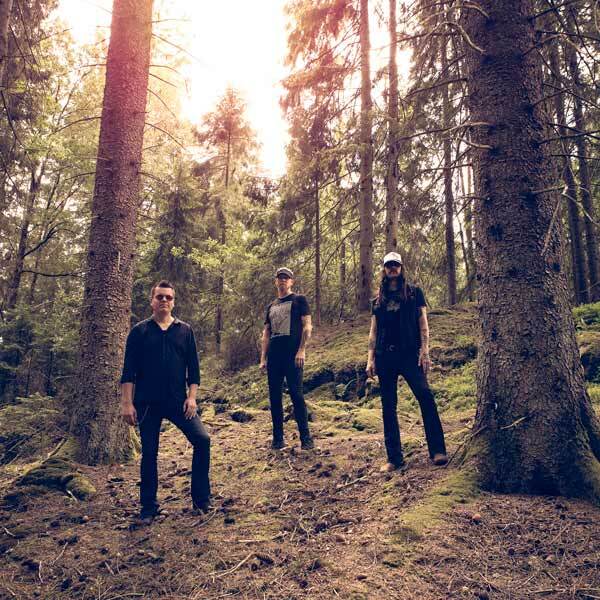 The outside world took notice in a big way as the trio of Thomas V Jäger [vocals, guitars], Esben Williams [drums], and Mika Häkki [bass] garnered a flurry critical acclaim for their RidingEasy Records debut, Empress Rising, a year later. Within that push-and-pull of aesthetic, the three-piece found the framework for Vænir. Shortly after the release of Empress Rising, the group returned to their tiny rehearsal space to cut and personally produce the album’s six tracks with Esben mixing and mastering. Opener “Cursing the One” trudges from a calculated, staggered groove into a guttural drowning choir of hauntingly hypnotic vocals. “We Will Burn” tempers the slow burn with incendiary melody, while the ten-minute-plus “Died A Million Times” swings the pendulum between that growl of distortion and a clean guitar. The penultimate reprieve on “The Cosmic Silence” gives way to an expansive finale dirge with the title track.